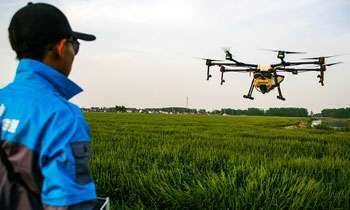 A special discussion regarding the use of drone technology in agriculture had taken place at the Natural Resources Management Centre in Kandy under the chairmanship of Minister Dr Sarath Amunugama. Science, Technology, Research, Skills Development & Vocational Training and Kandyan Heritage Ministry said the drone technology is extensively used in agriculture in many developed countries as it is a cost-effective method. Officers of the Department of Agriculture and the National Science Foundation had attended the meeting which was held recently.